So whilst slightly tipsy and very much missing my boy I started this and now sober with him in bed I have finished it. 10 reasons why I love my little boy. 1) He has learnt to wave, albeit not at the right times. 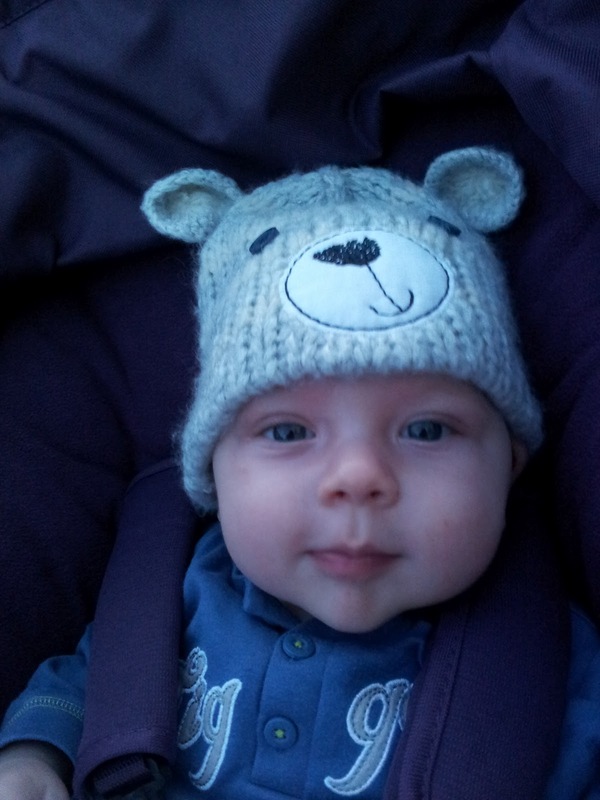 He tends to wave at me when I change his nappy, or show him a teddy he loves. But lately, when he wakes me up in the morning I come into his room, look down into the cot and say 'hiya' and he gives me a huge cheeky grin and waves at me. Simply adorable. 3) When he has been crying and I pick him up and he calms straight down and snuggles into me. All he needs is my love and protection and everything is ok.
4) His little michelin man arms. 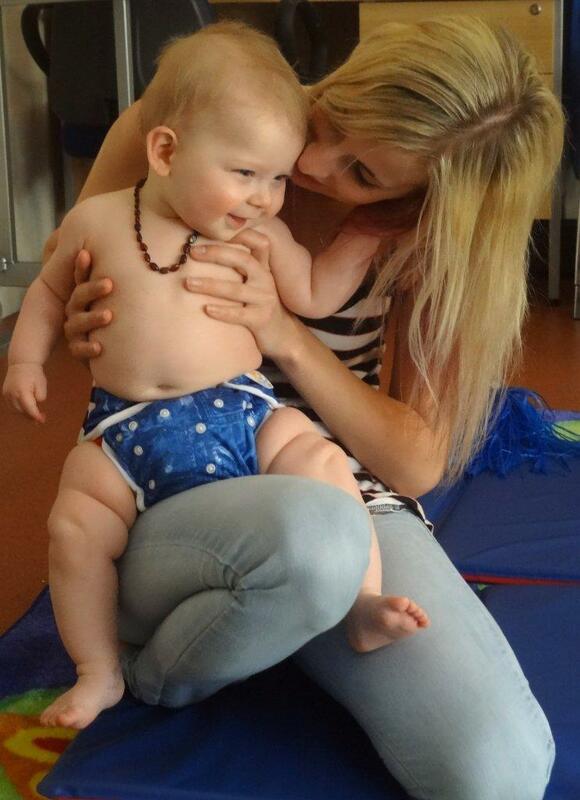 I love chubby babies and my little buddha has beautiful rolls of fat all over. I love the way his wrists are hidden and it looks like he is wearing an elastic band round his arm. Sometimes I could just bite him (but I don't of course). 5) That the bloke and I can entertain ourselves for hours doing impressions of him. It is a little sad but when he is asleep we love to mimic the silly things he does and pull 'Dylan' faces at each other. 6) His personality is really starting to show through, and I love getting to know the little boy that he will become. Newborns are all quite similar in the respect that they aren't awake long enough to do much. Now he is a bit bigger I know how to make him laugh, what foods he loves and his favourite toys. 7)Everyday he changes, and there is always something new to discover about him, from a new smile, to a new sound he can make, to a new skill he has learnt. Being a mum is a constant journey and I love to learn. 8) Everyone warned me about the early mornings that being a parent would entail, but every so often he sleeps in until 9. 9! There are many envious parents when I tell them my child can sleep uninterupted from 6.30pm until 9am. Even on a really bad morning, he is only up at 7. 9) He has done everything in his own time. I have been constantly told that I am making a rod for my own back, but everytime he has grown out of it when he was ready. For the first six weeks he mostly slept in my bed, but suddenly he stopped wanting to and would only settle in the crib. 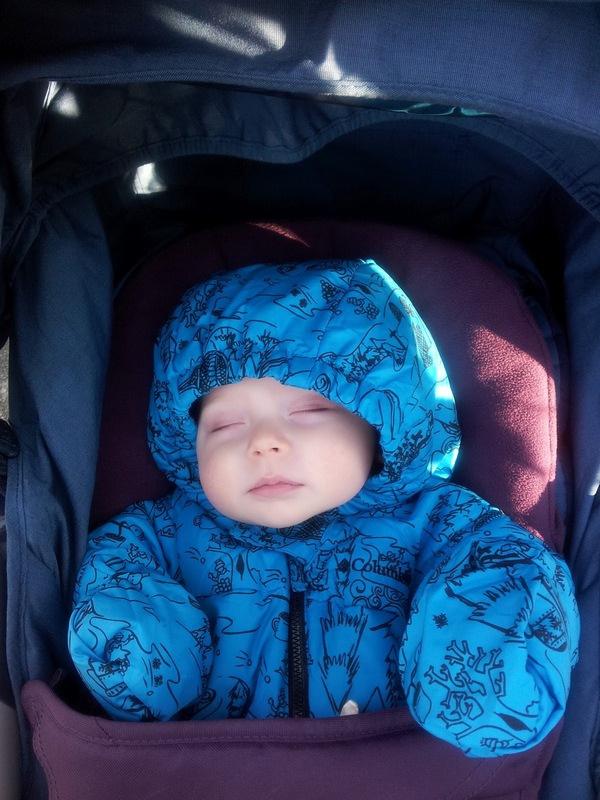 For six months he always fed to sleep and then one day he stopped and went to sleep beautifully on his own whenever I put him down. We have never done the cry it out method and he sleeps 12-14 hours a night without waking. 10) Because he is mine. I grew him in my belly, I gave birth to him, I fed him, I cared for him and I loved him, (and I still do). Because he is the most important thing in my world and always will be. How could you not love this beautiful little boy? Thanks for the comment. Unconditional love is a pretty amazing thing! Thanks, it is so hard not to impersonate them, isn't it! And it does make us giggle! Gorgeous list Bex. And such a gorgeous boy!! I'm loving 10 but I'm not even talking to you about 9. Sometimes I could just bite him (but I don't of course) - love love this sentence, I know exactly what you mean. The love and bond just gets stronger as they grow. thanks for the comment. I may not bite, but sometimes I do grab his chubby cheeks! Love the pics - he is gorgeous. And we also do the impressions thing. When she gets excited she rocks back and forth crazily, panting like a dog. It's hilarious! They do the funiest things don't they! Dylan likes to hold food out as far as he can and then try and eat it without bending his arm. Not so smart! My baby boy is three now... I miss when he was a baby and the smells, faces, and sounds he made. The love I have for him brings tears to my eyes sometimes... this has been the most precious gift I could ever ask for. I love my little bug. that's a lovely post. my 'little boy' is ten now and is still a sweety and whn he is asleep his little face still looks like his baby face.. enjoy every moment as they are ten years old before you know it! !